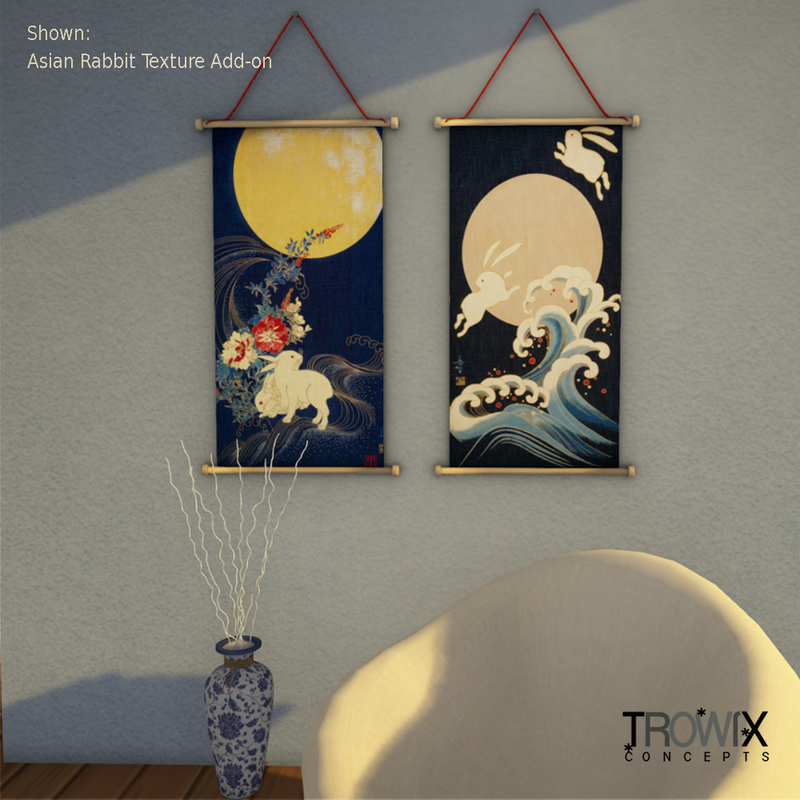 Rabbit art from China and Japan will add unique charm to any setting. 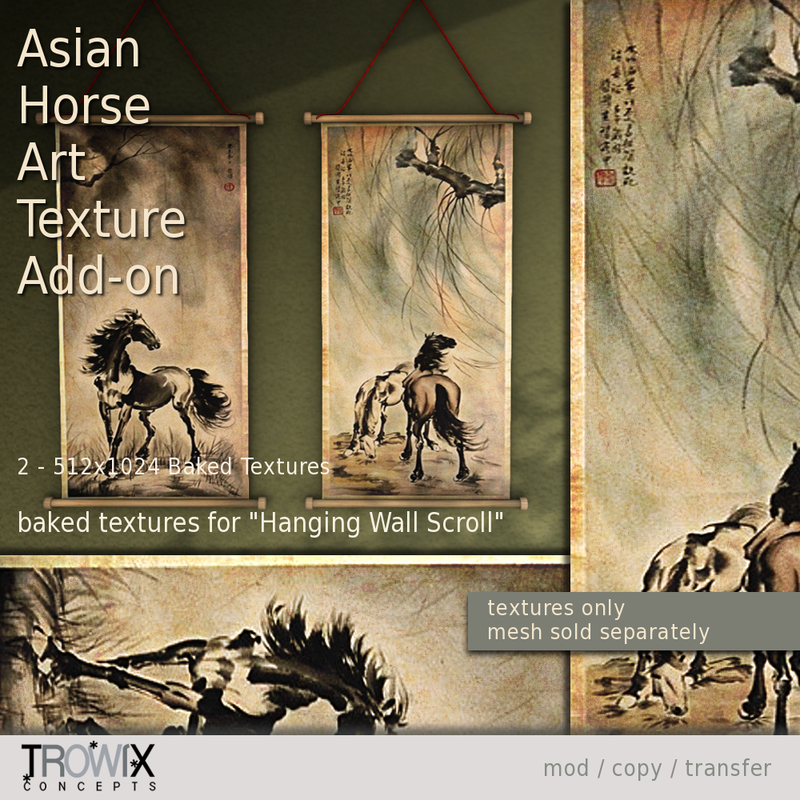 Our texture add-on for “Hanging Wall Scroll” contains 4 fast and easy baked textures for quick decorating and texturing. 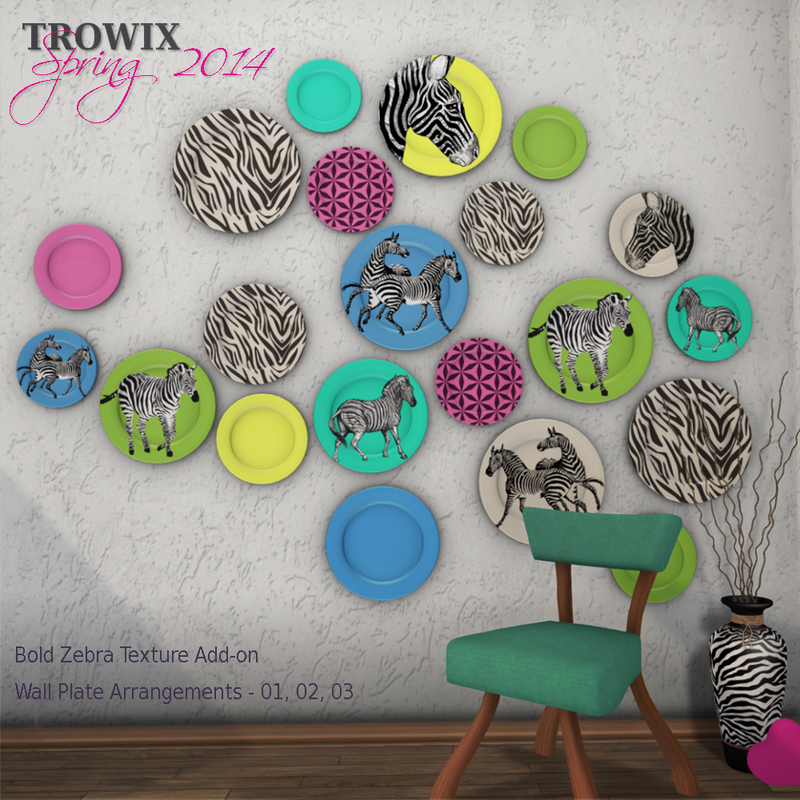 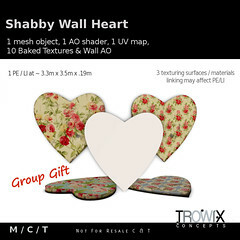 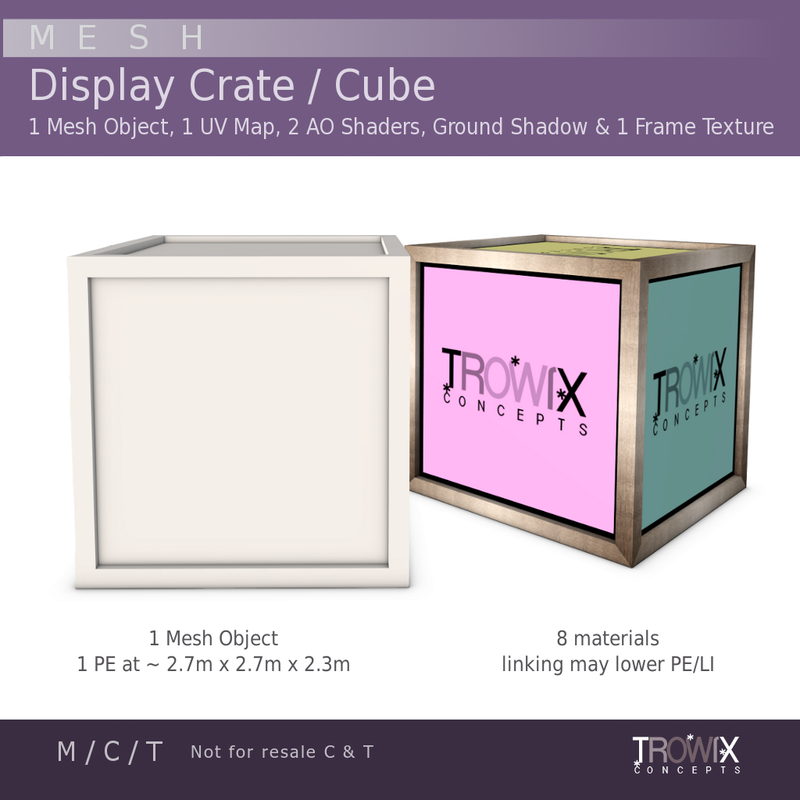 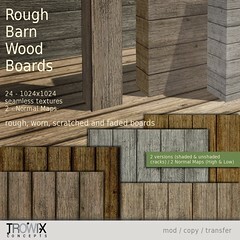 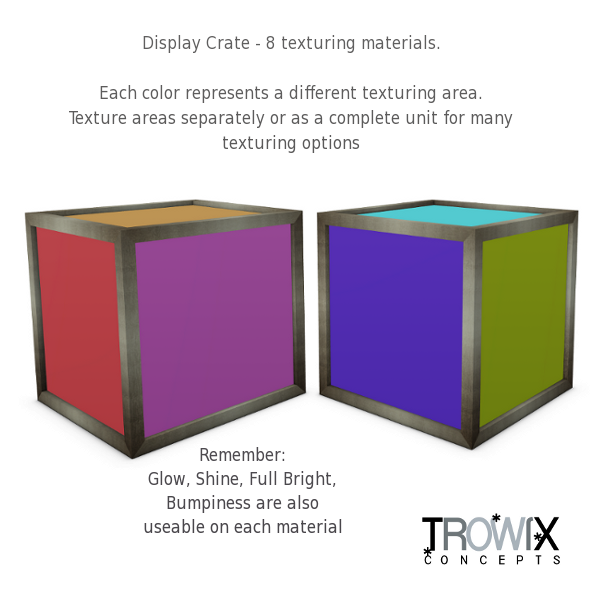 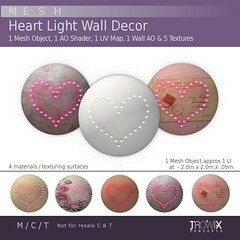 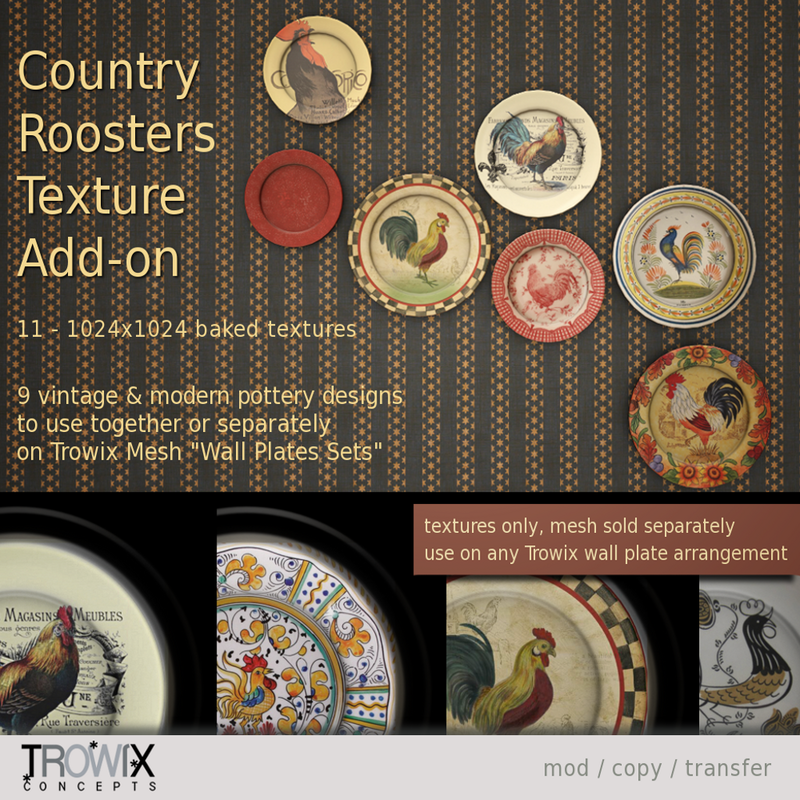 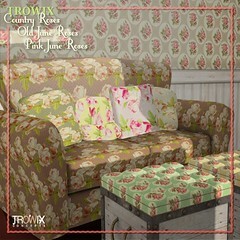 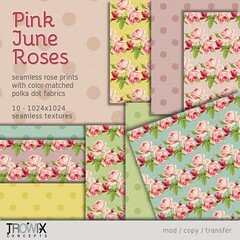 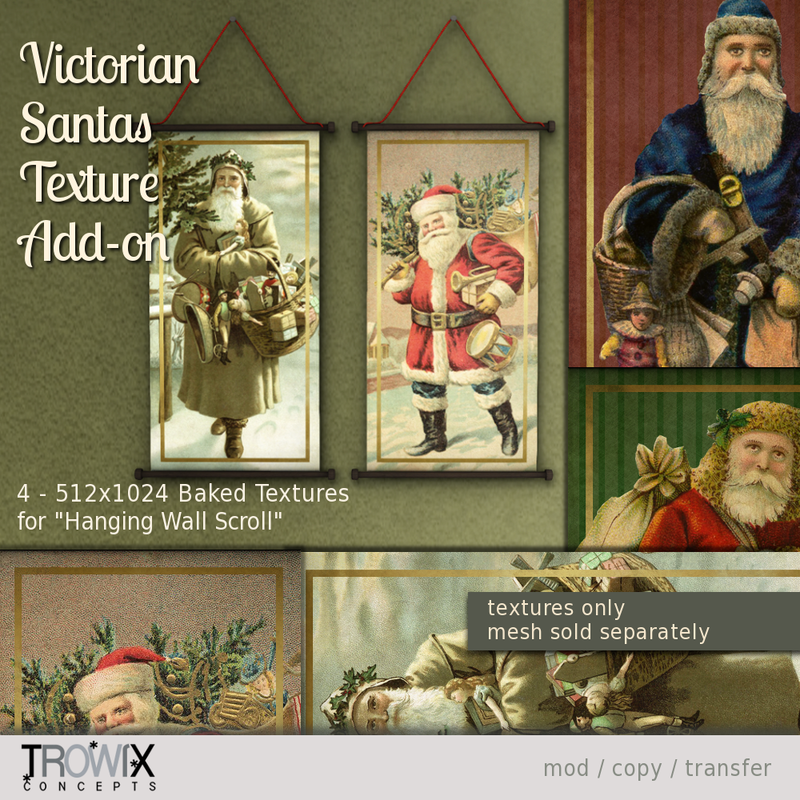 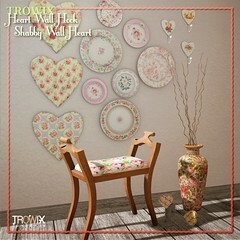 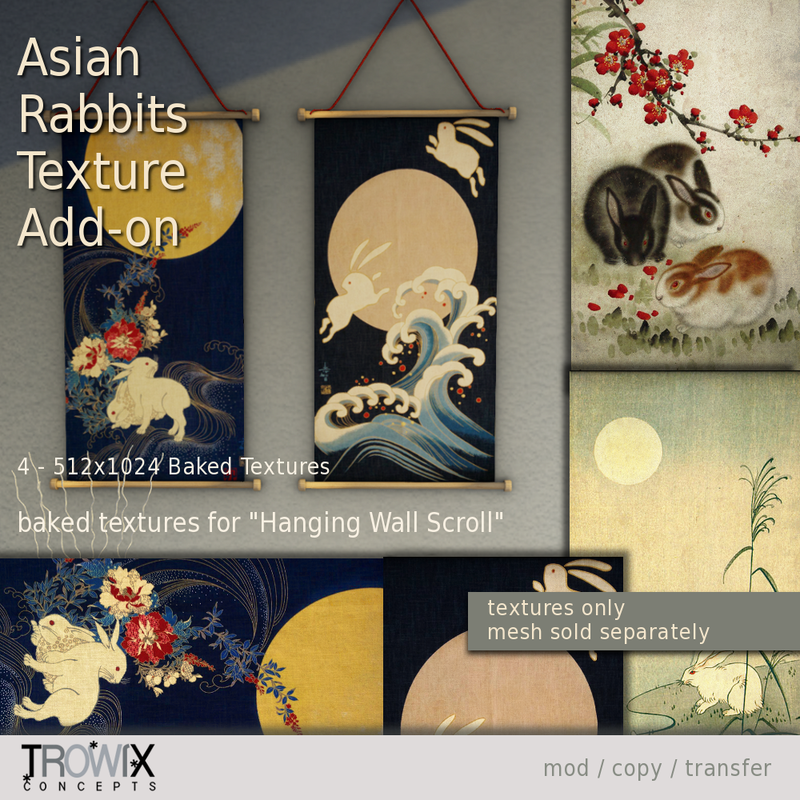 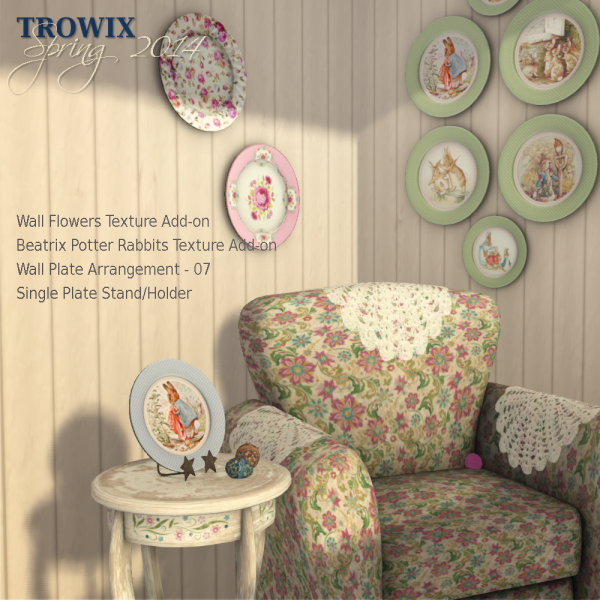 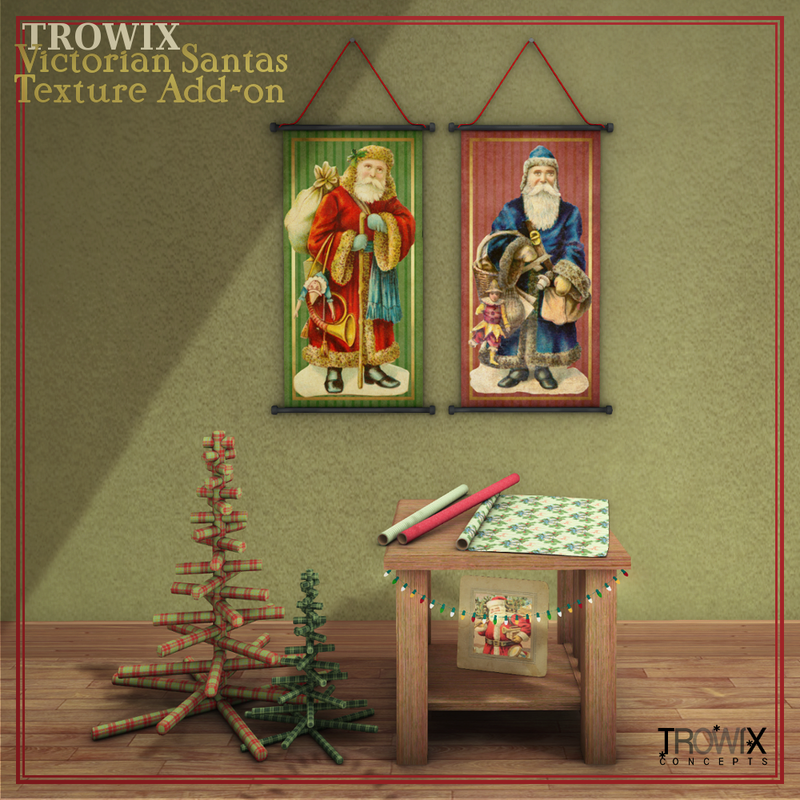 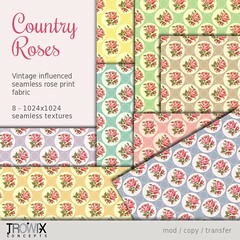 Mesh kit is available from Trowix Concepts (“Hanging Wall Scroll Mesh Pack”). 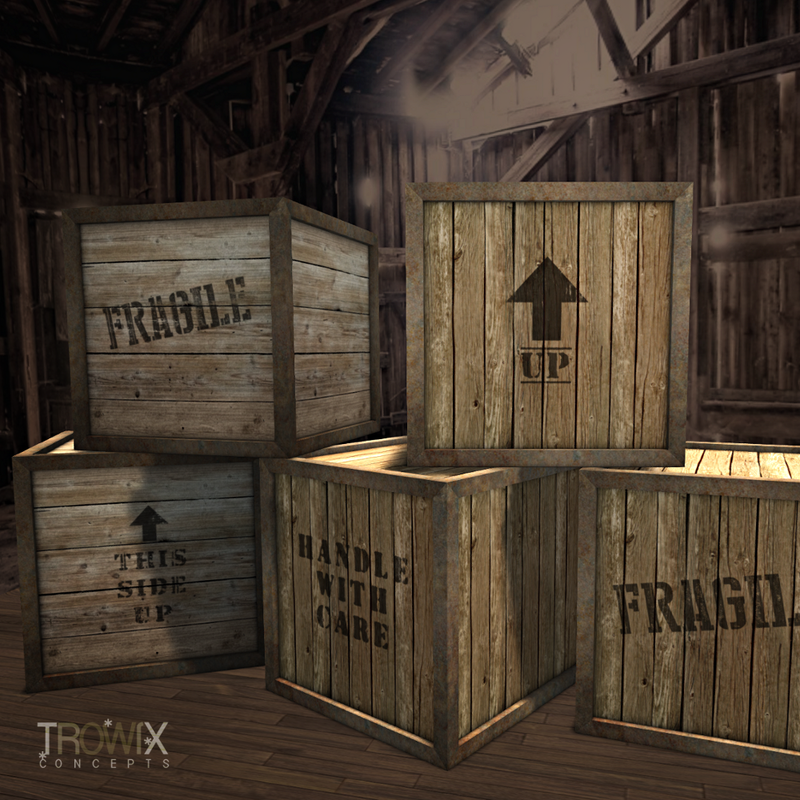 … and on Second Life’s Marketplace, right here. 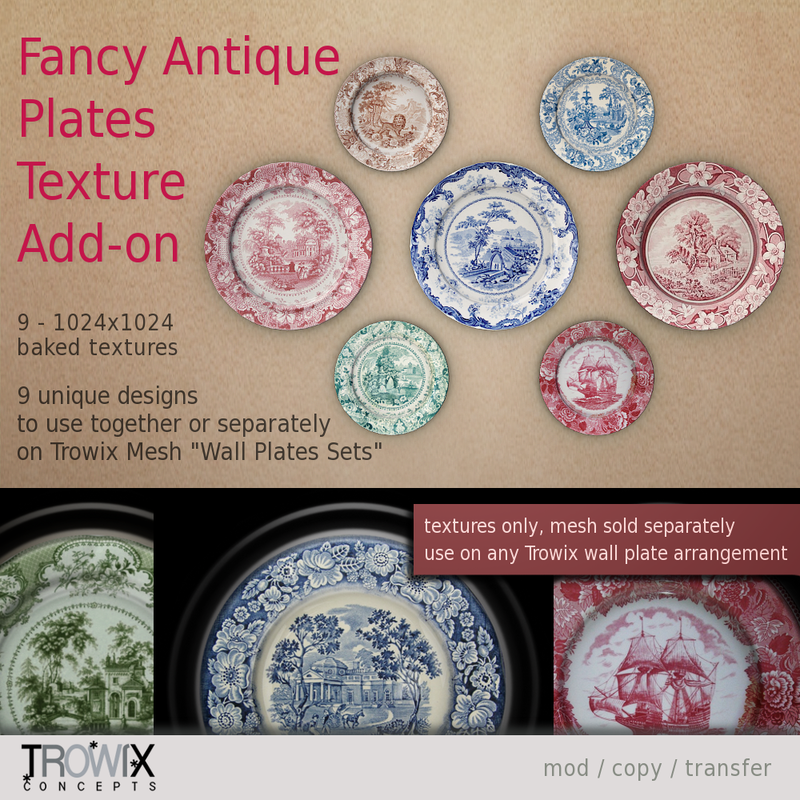 6 stunning add-on texture packs for wall plate arrangements mesh packs. 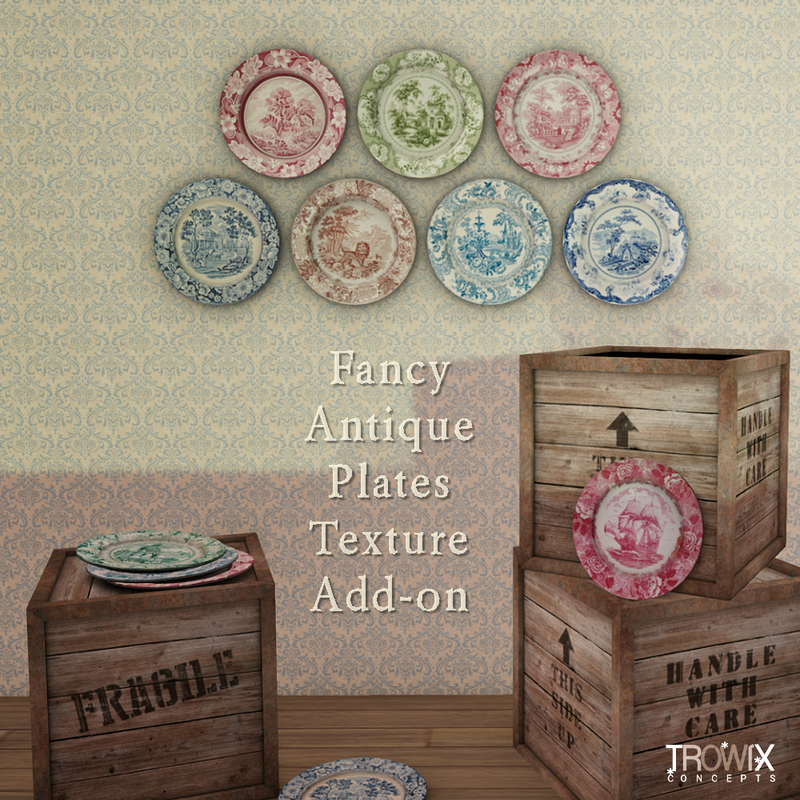 Different looks and styles – we’re sure you will find a favorite. 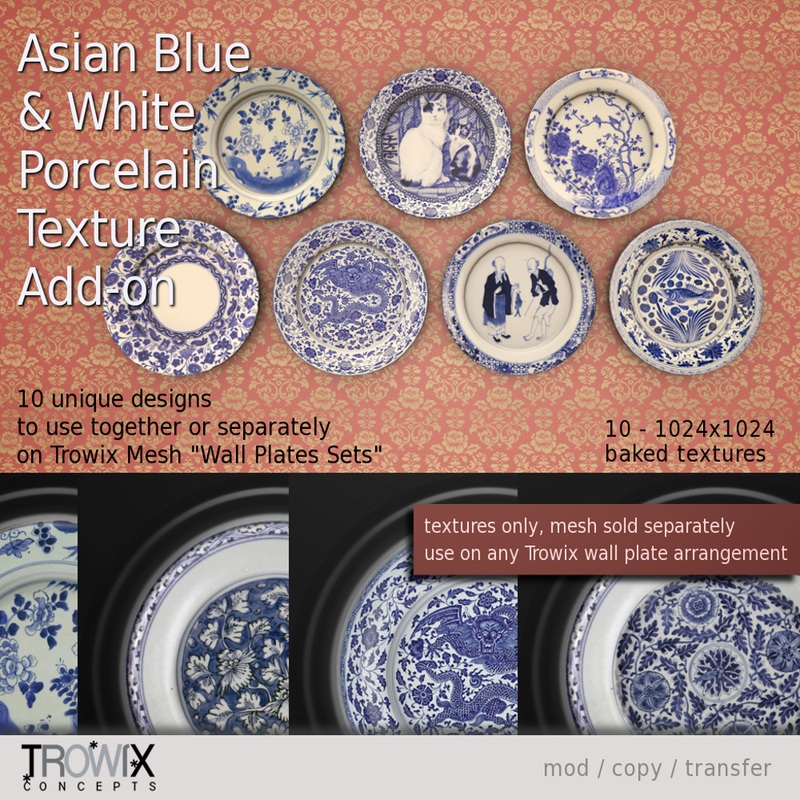 ALL of these baked textures work with ALL “Wall Plates Arrangements” Mesh Packs. 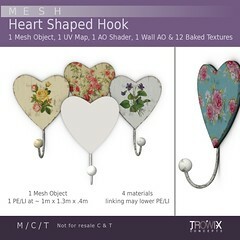 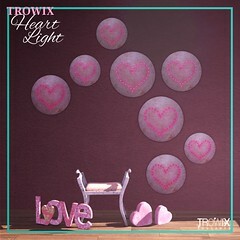 Mix & Match to your heart’s content, quickly and easily! 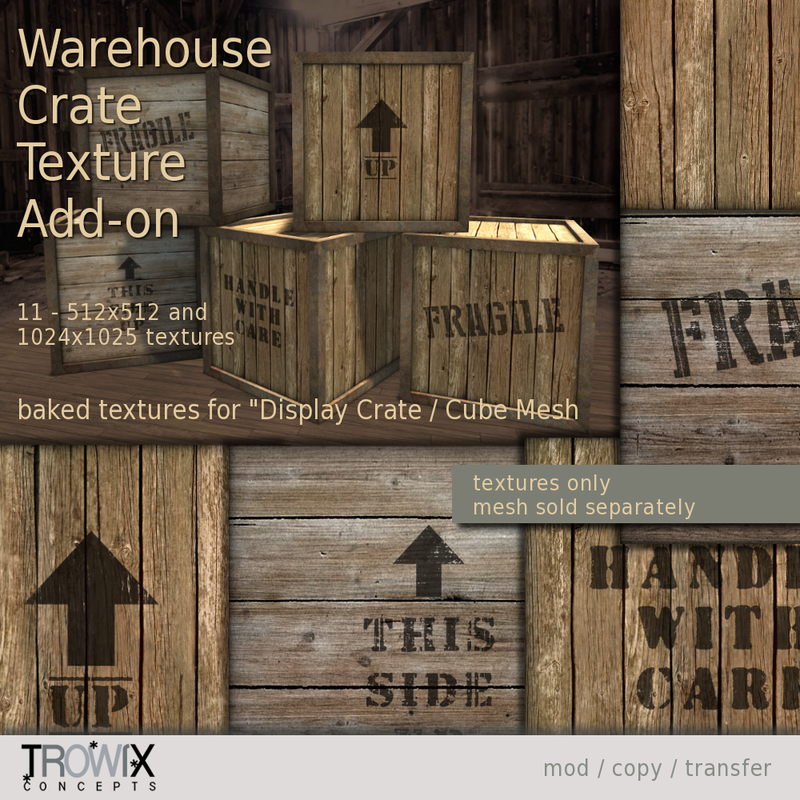 … and on the Second Life Marketplace. 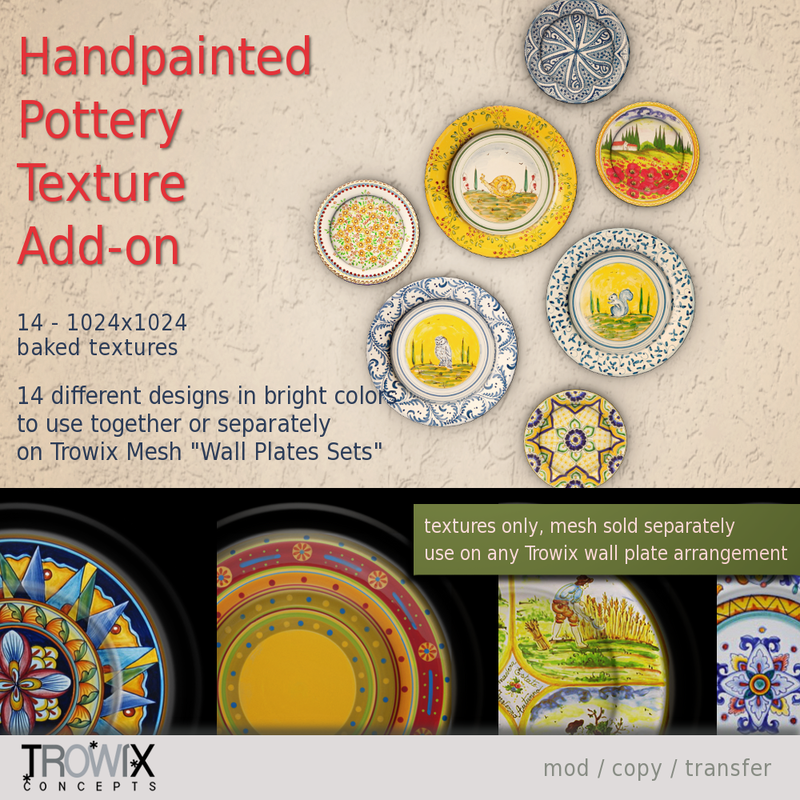 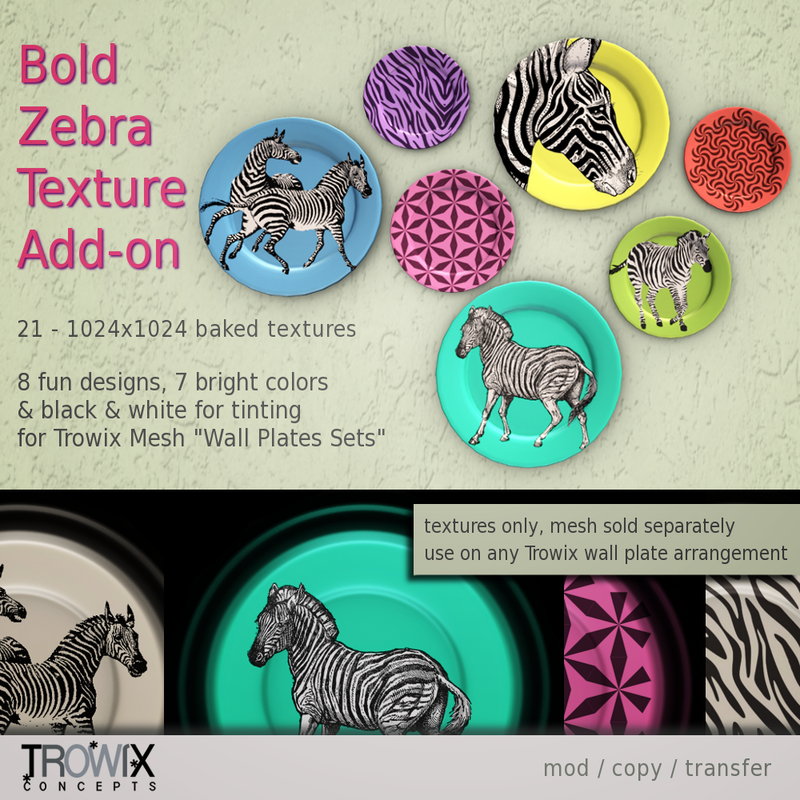 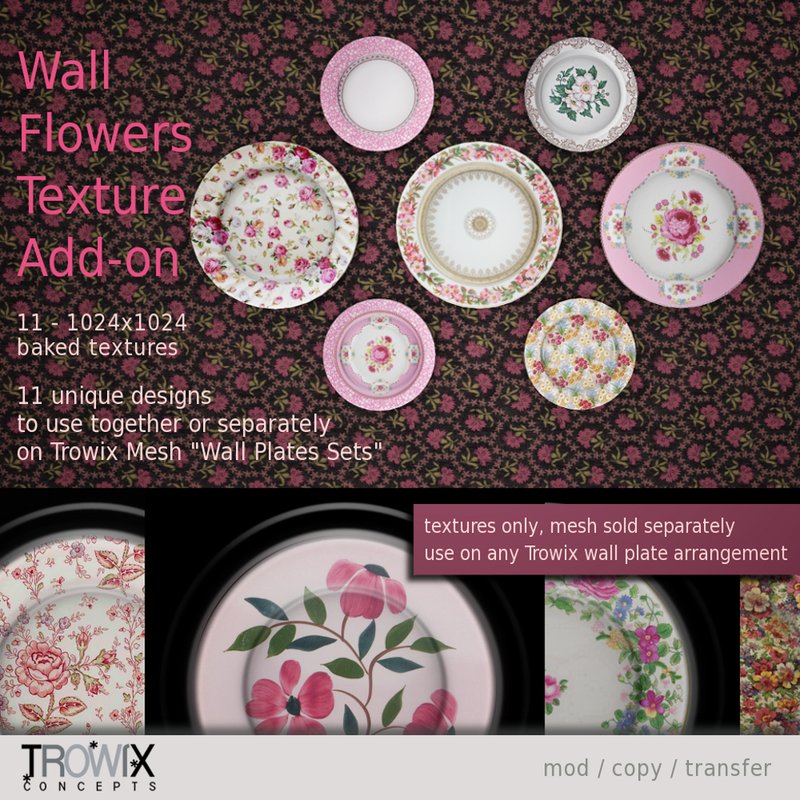 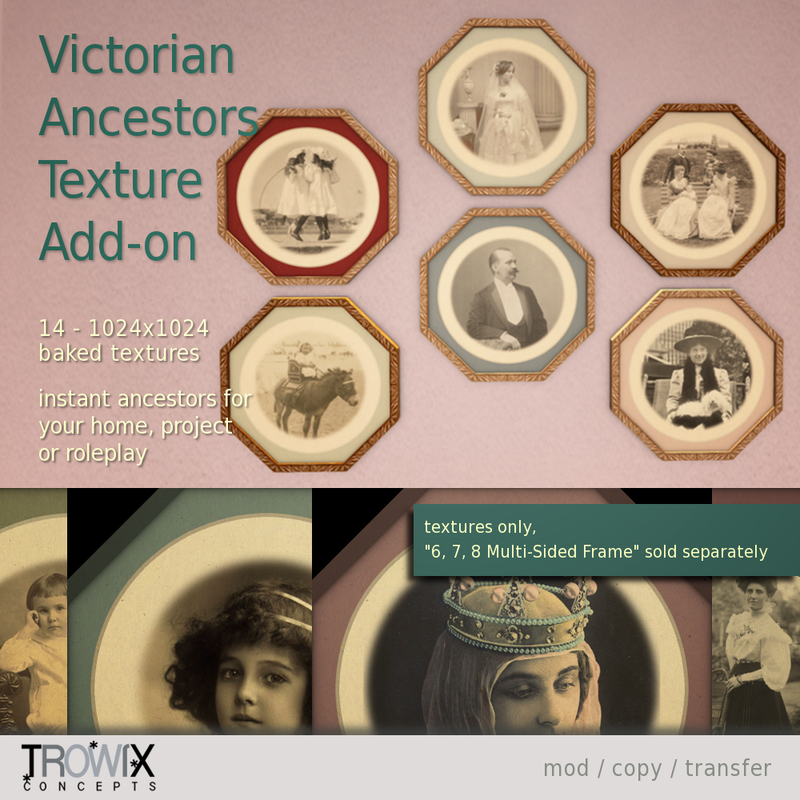 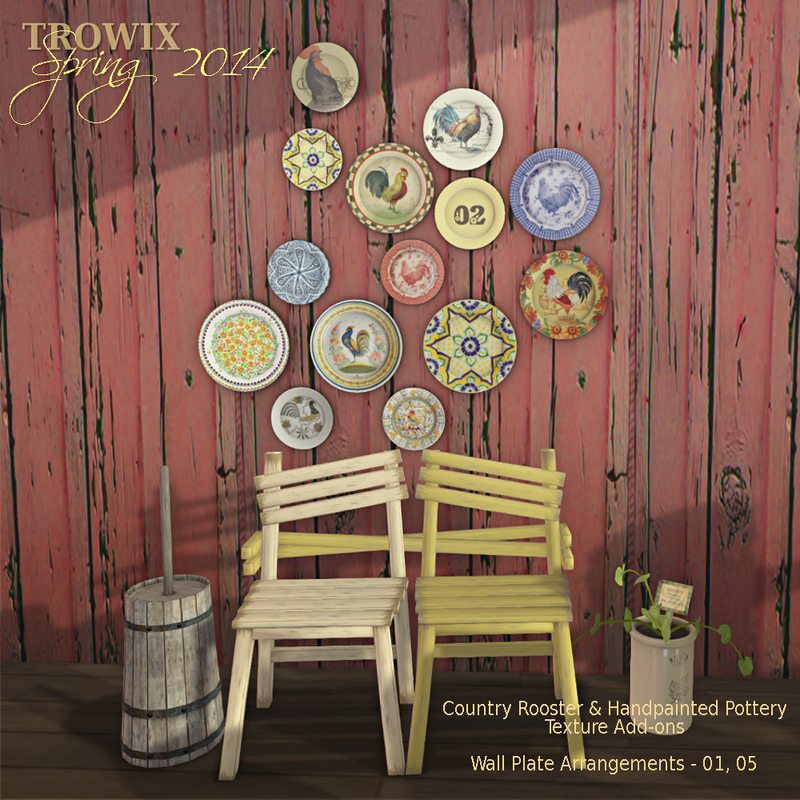 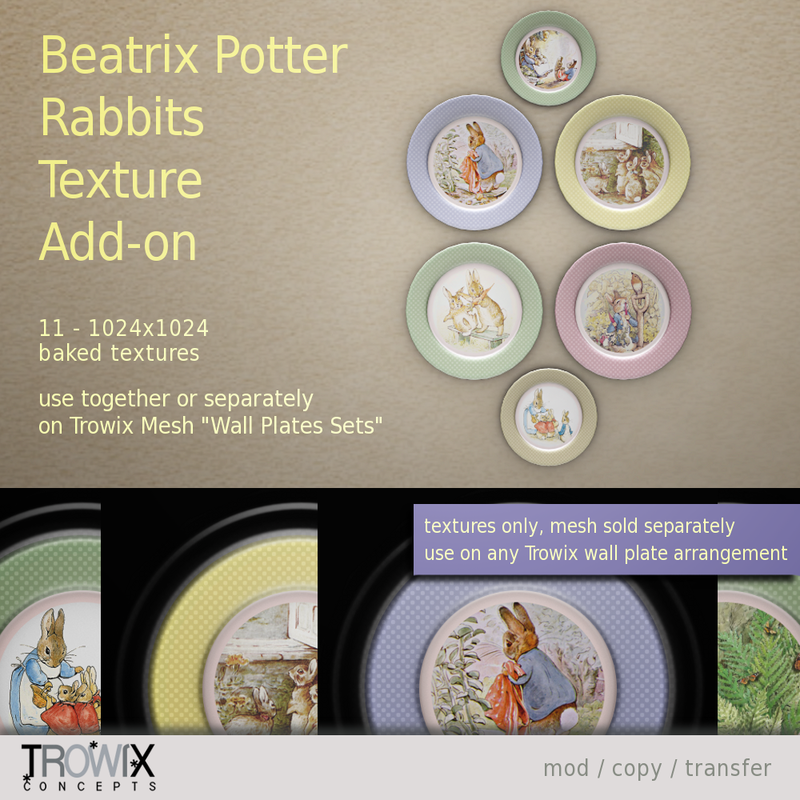 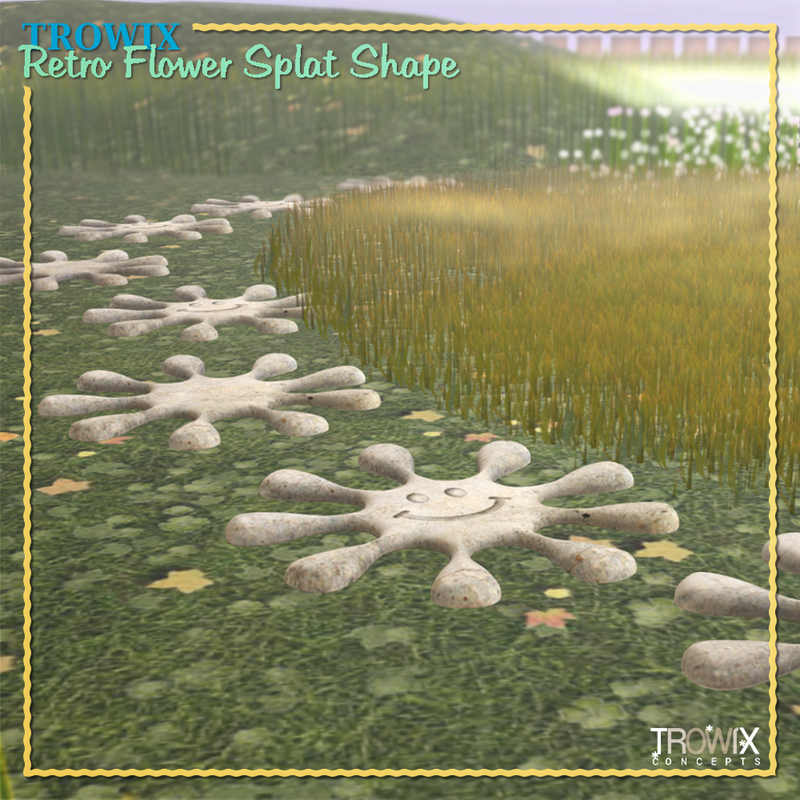 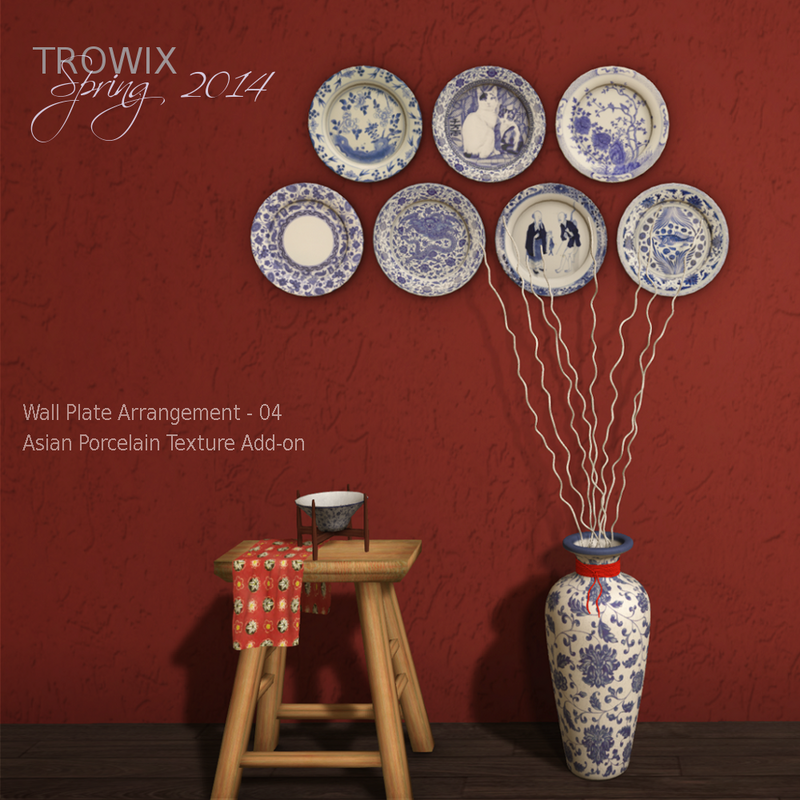 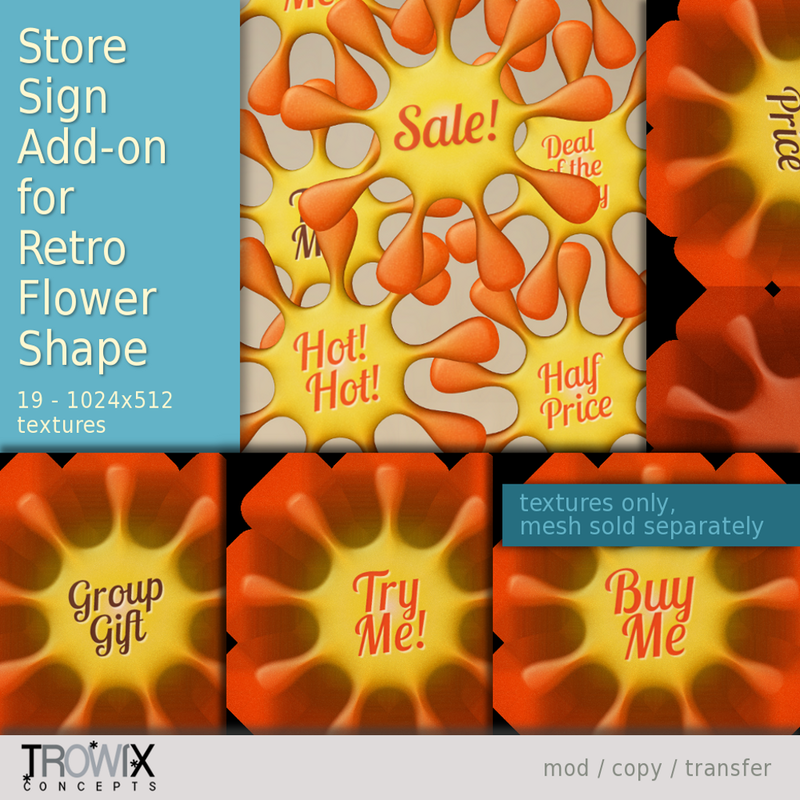 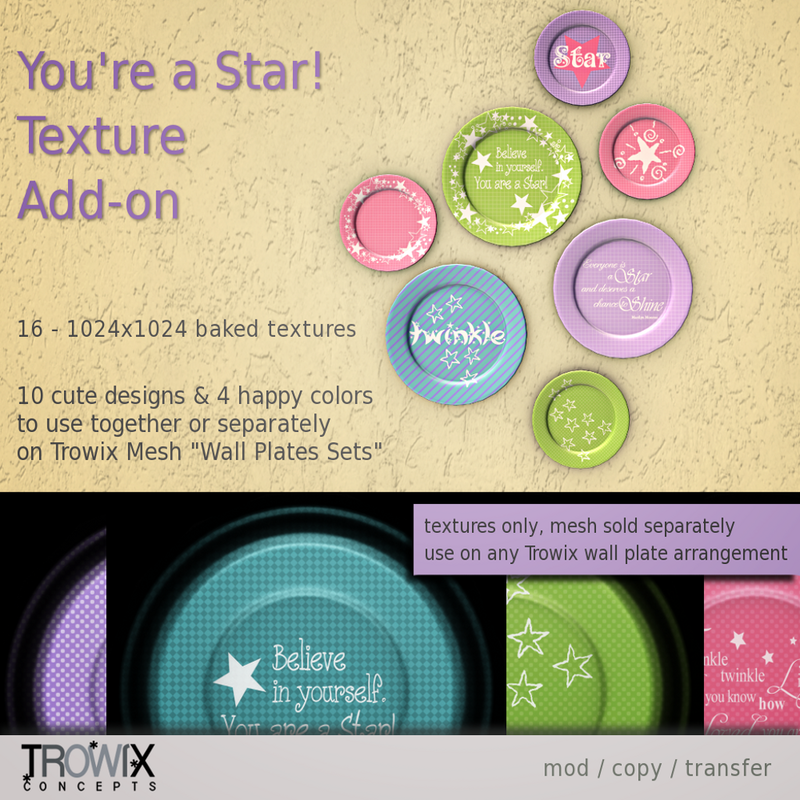 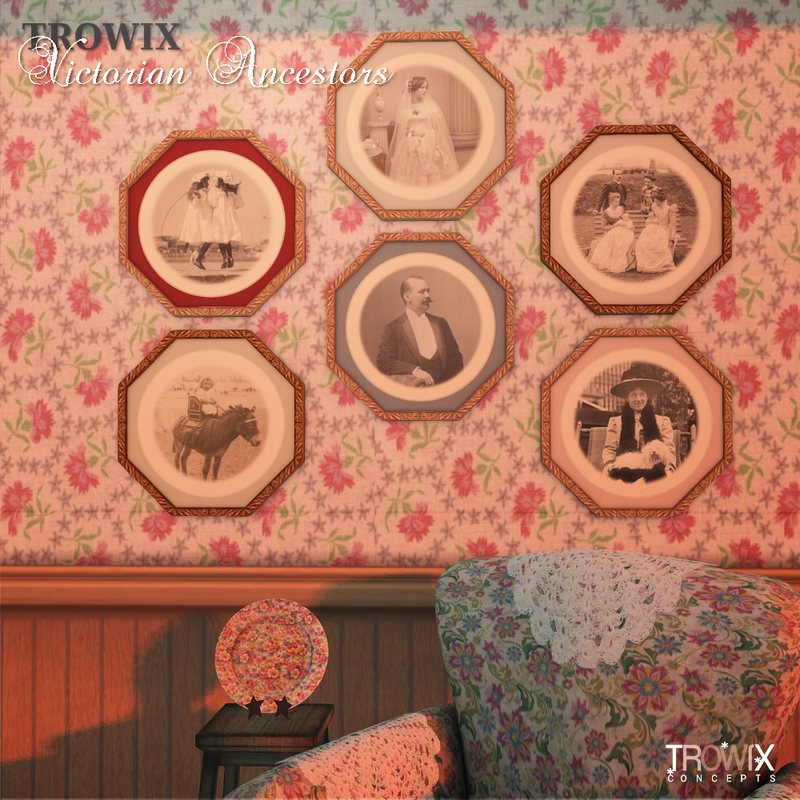 …and this is just the beginning; expect more add-on texture packs for Trowix Wall Plate Arrangements. 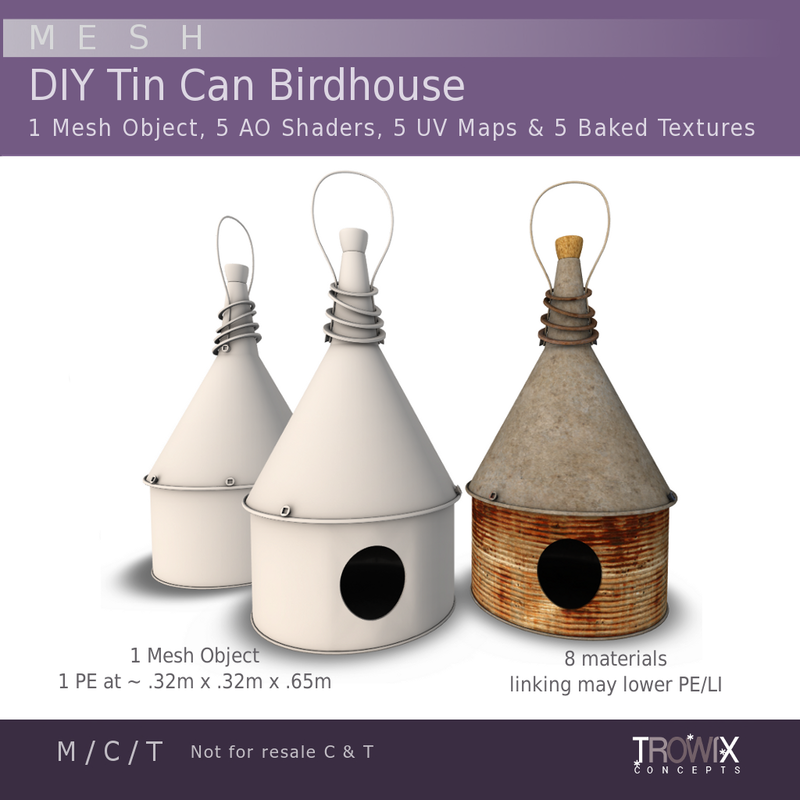 Inspired by the cleverness of up-cyclers and DIYers, this mesh piece shows a recycled tin can, funnel, cork and washers made into a charming birdhouse. 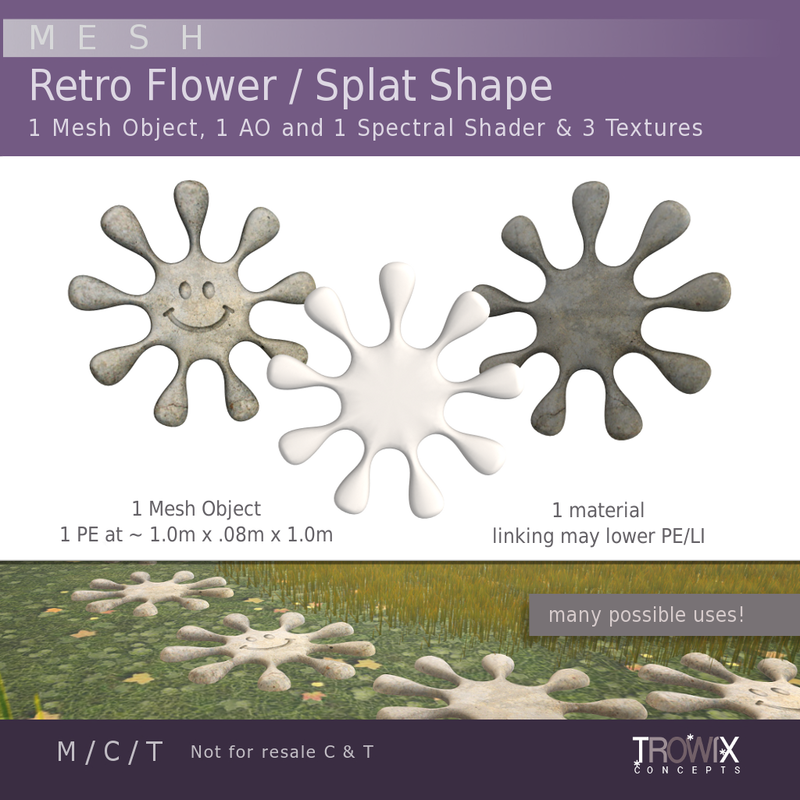 Highly detailed original mesh made just for SL grid with extremely low prim equivalency (PE or LI) and 8 materials / surfaces for many creative texturing options. 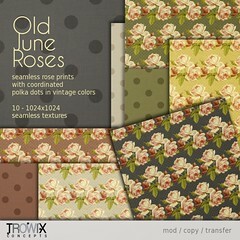 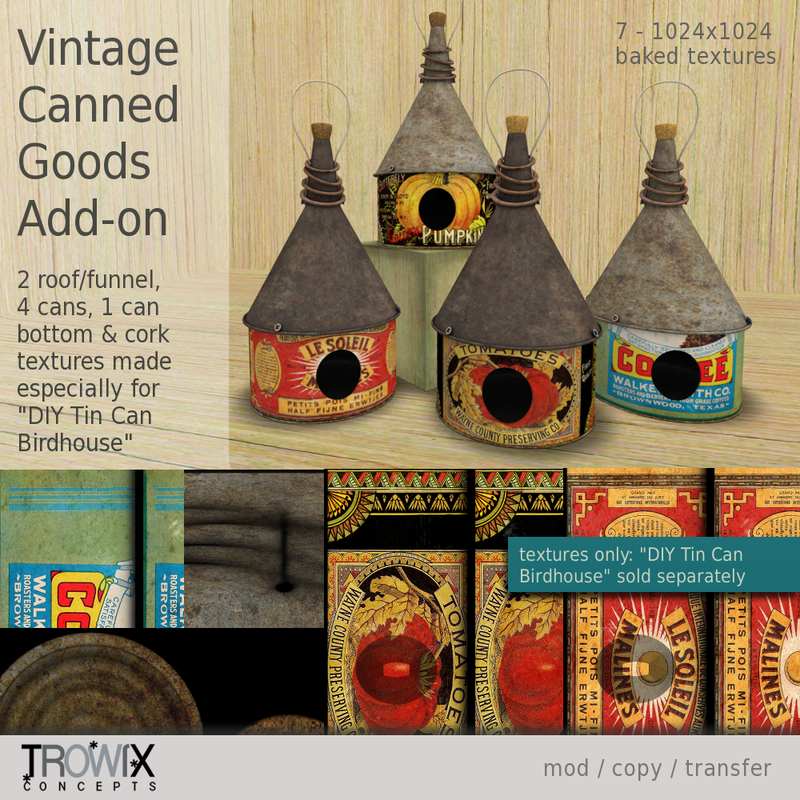 …and textures, we’ve made a fun texture add-on using vintage cans for quick and easy texturing and decorating. 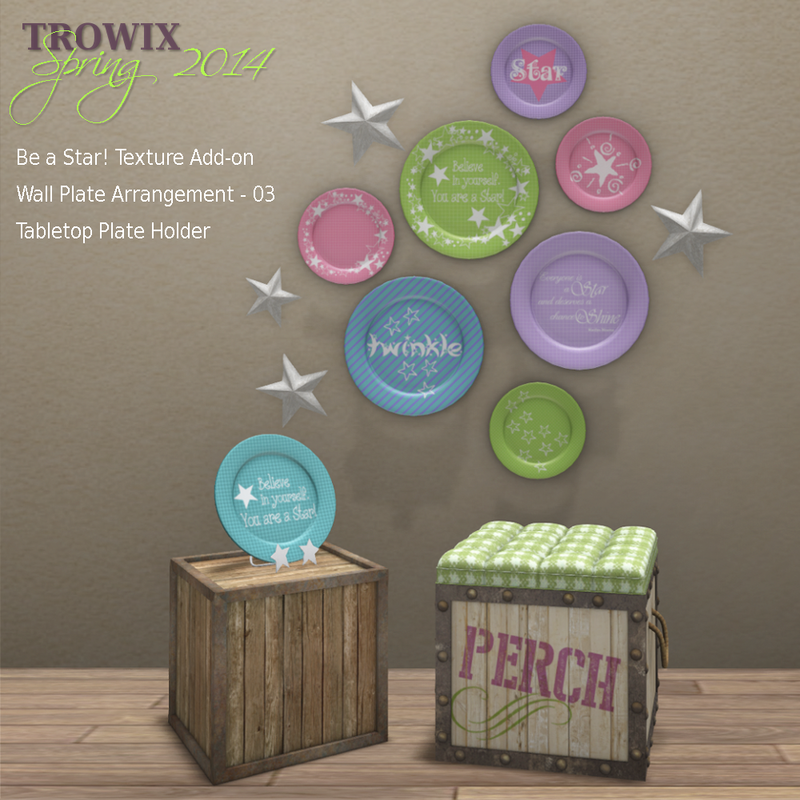 This birdhouse looks great with our “Cushioned Crate” and “Birdie Robin” (the September Group Gift), so stop by the Trowix Barn and make yourself some old-fashioned charm. 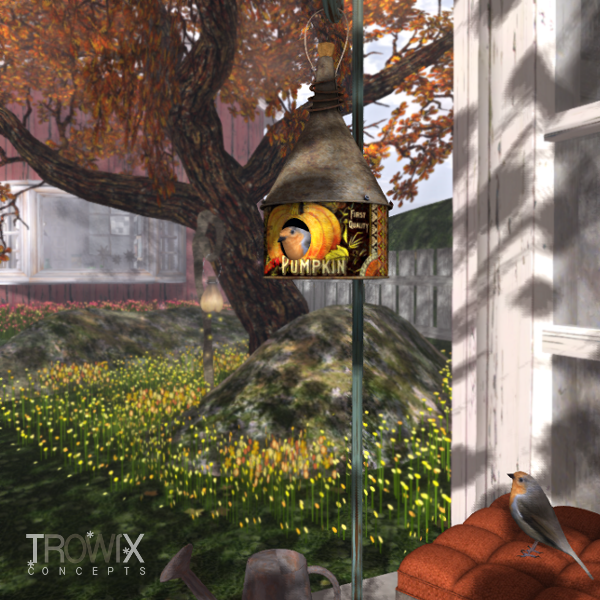 House your flock for the winter, today!